Trump is defending his frequent use of Twitter by saying that the social media platform lets him bypass the press. 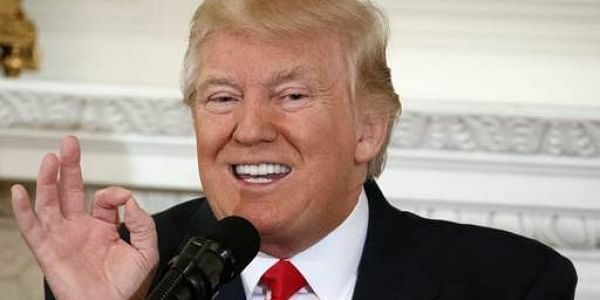 WASHINGTON: President Donald Trump is defending his frequent -- and often incendiary -- use of Twitter by saying that the social media platform lets him bypass the "dishonest" press. "Maybe I would not be here if it wasn't for Twitter," Trump said in an interview with Fox News. "I get such a fake and dishonest press," he said, singling out the CNN news channel and the three main US networks -- ABC, CBS and NBC. But Trump said he was "not including Fox because I think Fox has been fair to me." Much of the press "is not honest... I have close to 100 million people watching me on Twitter, including Facebook and Instagram," he said. "I have my own form of media." The @realDonaldTrump account on Twitter has just over 26 million followers. "When I say things, the press does not cover me accurately," Trump said, while emphasizing that "Twitter is a wonderful thing for me." On March 4, Trump set off a furor when he tweeted that president Barack Obama had put a wiretap on communications at Trump Tower, the New York home of the president and first family, before the November 8 election. Senior lawmakers with the House Intelligence Committee who are investigating the matter said they have seen no evidence to support the claim. But Trump told Fox News that the White House "will be submitting things before the committee very soon that hasn't been submitted as of yet," without offering details. Trump also directed particular ire at the NBC network. "I made a fortune for NBC with 'The Apprentice'," he said, referring to the TV show he once hosted. "I was on for 14 seasons." And now, "You see what happens when I am not on? It was a disaster." In January, Trump mocked the show's low ratings, blaming its current host, the Hollywood star and ex-California governor Arnold Schwarzenegger, for a poor performance. Schwarzenegger said in March that he was quitting the show because it had too much "baggage" -- specifically Trump's name in the credits as executive producer, which he said has scared away sponsors and viewers.